Stuxnet gave the world a grasp on how real and devastating cyber-security risks in critical infrastructures can be. In the era of industrial IoT and increasingly complex cyber-threats, attacks on public infrastructures, particularly in the energy sector, are becoming frequent. Critical infrastructure such as electric and water utilities are being temporarily shut down as ransomware plagues corporate systems, causing hours of downtime. The health industry has also fallen victim to these cyber-extortion techniques. The risks go beyond operability, financial losses and credibility. Cyberattacks on industrial systems can cross the line into threatening human lives. “Whether it’s a dam in Rye Brook, or our power grids, our financial institutions, our water systems, or our online networks, these parts of our infrastructure are at risk and are under assault like never before, and we need to do more about it,” US Senator Charles E. Schumer said after Iranian hackers breached the Bowman Avenue Dam near Rye Brook, New York and gained control of the floodgates. Recently, a German nuclear power plant in Bavaria has admitted that its systems are riddled with malware. In 2015 a hacker managed to enter the systems of a nuclear power plant in South Korea. However, securing vital systems from multiple attack vectors is a serious challenge that requires joint efforts from international organizations, the private sector, the civil society and, especially, governments. It also presents a set of unique difficulties. Cyber-threats are expanding in every way - from attack frequency to scale, sophistication and impact severity. The rate of code vulnerabilities found in dated, internet-accessible software also shows no signs of abating. "A wide variety of threats ranging from Advanced Persistent Threats (APT), to sophisticated and common malware [are] found in the ICS environment,” the ICS-CERT reports. “Other incidents in the water and commercial sectors involved Internet-facing systems with weak or default credentials." For instance, Black Energy was a malware toolkit developed to infect Ukrainian power authorities. It overwrites system data to control manual functions such as modifying temperature controls and turning pumps on and off at wind turbines, power transmission grids, oil and gas pipelines. Its goal was to sabotage critical parts of an industrial control computer’s hard drive. Crypto-ransomware that leverages clever engineering techniques is also on the rise. Almost 10% of ransomware-infected emails sent globally target German users, according to cybersecurity provider Bitdefender. 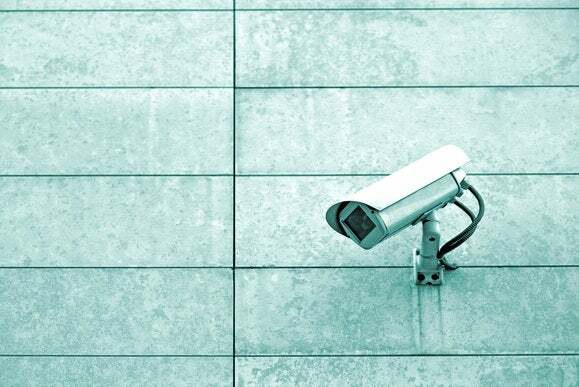 As more IT systems running critical infrastructure organizations connect to the public Internet – such as Industrial Control Systems and SCADA applications – new laws and national cybersecurity strategies are becoming mandatory. Infrastructure operators must apply state-of-the-art measures to prevent unauthorized access to their technical systems and secure them against data breaches and other incidents, including outside attacks. Otherwise, they can face fines of hundreds of thousands of dollars. But not all organizations are ready to comply -- their current spending may not meet the demands of the new regulations. Despite the increasing number and severity of attacks targeting critical infrastructure, technology and security professionals remain confident in their cyber defenses, studies have shown. Global security executives’ trust in their organization’s cyber preparedness is sometimes unfounded. As proof, most attacks in recent headline-grabbing security incidents were under way weeks or months before initial detection. More than once, the vectors for attack could not be determined because the systems lacked detection and monitoring capabilities. In other cases, engineers did not even know if the problem was caused by a cyber-attack. Sharing network and defense information with other organizations in the same industry or a national or international agency is often the missing piece of the puzzle. Critical infrastructure operators often loathe disclosing information for fear of damaging their reputation or risk of punishment by the government. But operating in a silo does not help cybersecurity. ▪ Deploying basic security measures in between network segments, such as firewalls/IPS.